Desks With No Storage? No Problem! Sometimes teachers don’t get the desks they’d like. Some teachers prefer tables, others like storage space down the side of the desk, etc. But what happens when you don’t get what you’d like? You just have to make it work. Here’s what one teacher did when she changed schools and ended up with only tables… no storage at all! 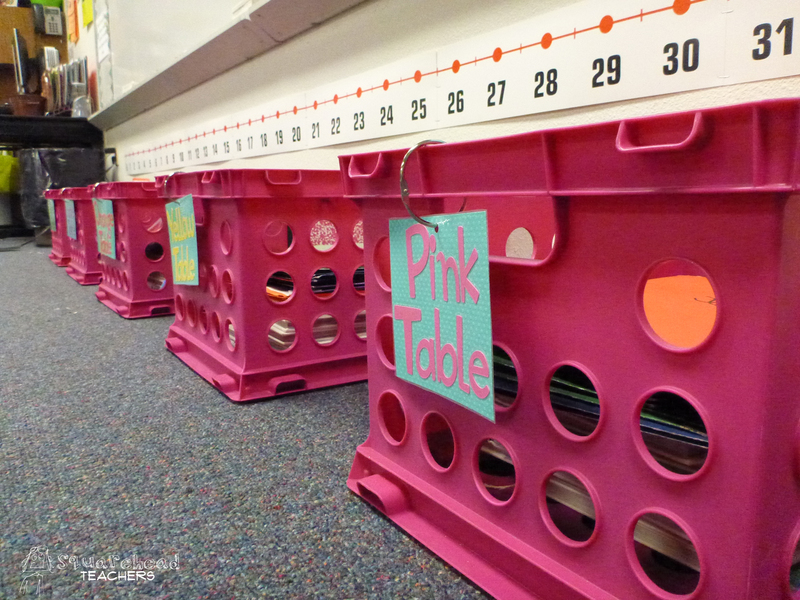 Each table has a crate that holds everyone’s folders (color coded by subject). All the supplies (scissors, crayons, etc.) are in different tubs at the back of the room. Backpacks go on chairs, so the kids don’t need cubbies or anything. Things go straight into the backpacks, or they are filed away into these crates. 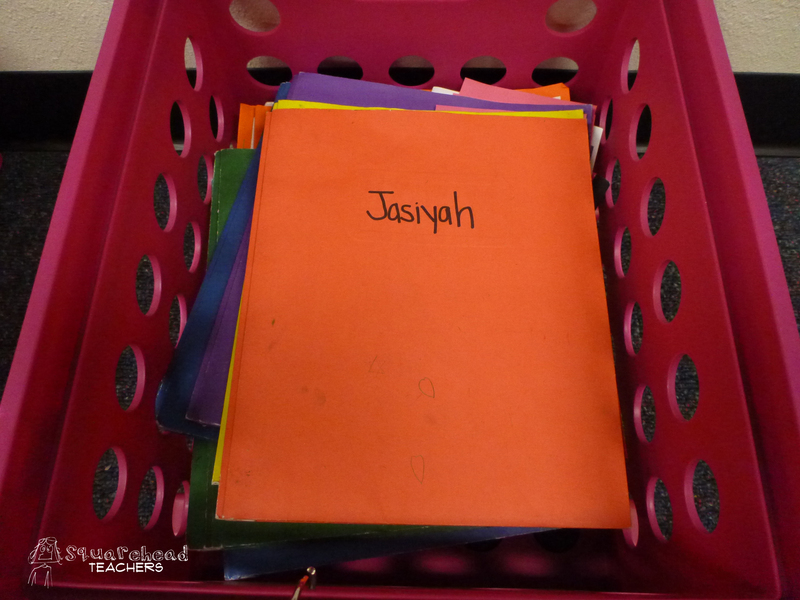 There’s also a crate coordinator, the person at the table who makes sure all the folders are organized and brings the crate to the front and to the table as directed by the teacher. This teacher told me it’s not ideal obviously, but after practicing routines associated with the crates, it’s a very do-able system now. This entry was posted in Classroom & Decor, Management, Organization, Uncategorized and tagged Children, classroom, Education, Elementary School, Kids, Teacher Resources, Teachers, Teaching by Squarehead Teachers. Bookmark the permalink. I don’t think anything in the world teaches you to be resourceful quite like being a teacher does. 😉 I love this system!